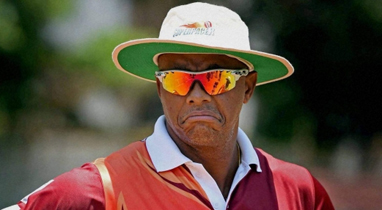 DHAKA, May 27, 2018 (BSS/AFP) - Bangladesh have retained interim coach Courtney Walsh to oversee the national side in next month's Twenty20 international series against Afghanistan, the cricket board said Sunday. Bangladesh have been without a head coach since Chandika Hathurusingha stepped down in October after three years at the helm. Walsh has been called on before, leading Bangladesh to the finals of a T20 tri-nations series in Sri Lanka in March which they narrowly lost to India. Afghanistan will host Bangladesh for the three-match T20 series in the Indian city of Dehradun from June 3 to 7. It will act as a warm-up for Afghanistan as they prepare for their first- ever Test against India in Bangalore from June 14. The Bangladesh Cricket Board recently appointed former South African batsman and coach Gary Kirsten as a consultant to find a coach before a tour of the West Indies starting in July. The board on Sunday appointed Walsh interim coach for the Afghanistan series. The former West Indies paceman said his side would keep their minds on the task at hand. "We won't be thinking of losing and having a fear of losing. If we back ourselves, play good cricket, (we) will win," Walsh told reporters in Dhaka on Sunday. "They are ahead of us in ranking in T20s, which is something we are mindful of. It will be a good contest. I am backing my team to do their job but we are not going to be complacent." Afghanistan are ranked eighth on the Twenty20 internationals ladder, two places ahead of Bangladesh. Bangladesh, who named a full-strength squad for the series, depart for India on Monday.